Thomas Tomkins’s father was Master of the Choir at St David’s Cathedral, Pembrokeshire, and it was there that Thomas was born in 1572, and received his early musical education. About 1594 he was sent to London to study with William Byrd, and in 1596 he was appointed Master of the Choir of Worcester Cathedral. After his training with Byrd, Tomkins maintained close ties with London: dedications of his many secular works show that he was on good terms with the leading court musicians, and in due course he became a Gentleman of the Chapel Royal, succeeding William Hooper as one of the organists in 1621, and becoming senior organist and composer on the death of Byrd in 1623. The responsibilities of the two posts, and the wearisome travelling between them, seem to have led Tomkins to withdraw from his Chapel Royal commitments about 1628 and devote himself exclusively to his Worcester duties. Tomkins served Worcester Cathedral for fifty years, until the Civil War brought an end to the services in 1646. By now in his seventies, a widower, and without a regular income, he lived on in his house in the cathedral precincts until 1654 when he moved a few miles out of the city to his son Nathaniel’s home in the village of Martin Hussingtree, where he died two years later. Tomkins wrote a large quantity of vocal music, as well as many works for keyboard and instrumental ensemble, and a good deal survives in sources from the composer’s own lifetime, attesting to its popularity with his contemporaries. By far the most important repository of his church music, however, is the posthumous collection published by Nathaniel in 1668 under the title Musica Deo Sacra. As well as five settings of the morning and evening canticles, and some miscellaneous service music, this contains ninety-four anthems. 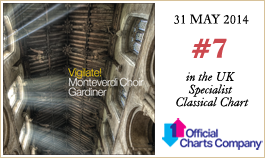 It thus constitutes the largest single source of early seventeenth-century church music and is of inestimable historic and artistic importance. There can be little doubt that Nathaniel’s main purpose was that the collection should be a monument to his father’s work, since it would have had limited practical value for post-Restoration choirs. 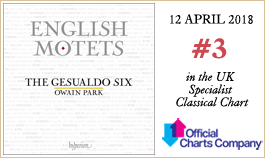 Before the Civil War, English church music had developed slowly along the lines established by Byrd and his contemporaries, ‘learned’ polyphony being composed in England long after the style had been superseded in Italy and elsewhere. After the Restoration, the more progressive choirs favoured a different kind of music which could be performed by small groups (trained singers being in short supply) and which reflected the latest Continental practices.